Tired of the same ol' breakfast sandwiches? Need a little flavor to get your morning started? 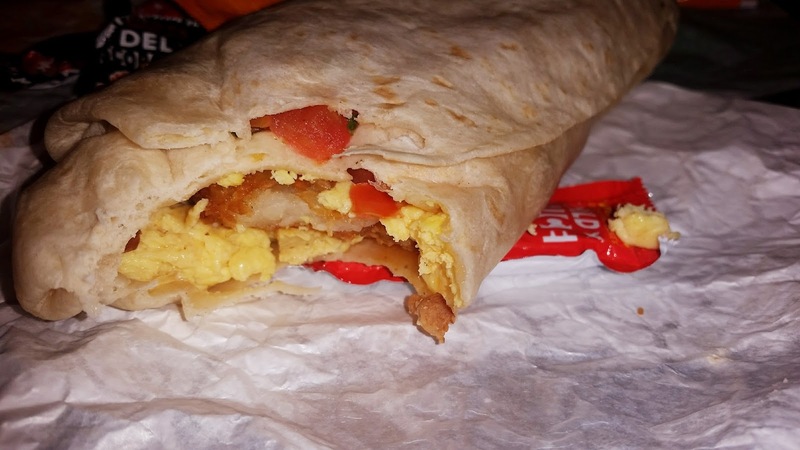 Del Taco has a new limited time only breakfast chorizo menu. For a limited time, Del Taco invites guests to receive a free 5-piece crispy Hashbrown Sticks with the purchase of two Mexican Chorizo Sausage Breakfast Tacos. I was never a chorizo fan. I have lately been a little more brave to try it. As the typical sausage and bacon are sometimes a bit boring or repetative for breakfast, I decided to give a chorizo breakfast a try. My Husband and two boys were already chorizo fans, so they kept telling me how much I was missing out. 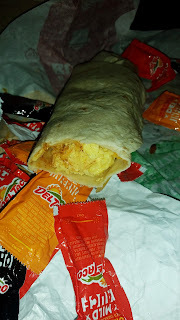 I first tried the chorizo breakfast taco. It didn't taste like the chorizo I had always thought of. I enjoyed it. It's hearty and has a little spice, but nothing too overwhelming (I'm not a fan of spicy). Next I tried the chorizo half pounder burrito. The was similar to the taco, just bigger. Same thing, the chorizo sausage blended well with the eggs, cheese and red sauce. What I started to like was that chorizo is more than just a sausage. Yes, it tastes like your typical breakfast sausage, but it had a spice that other sausages didn't have. That spice is usually paprika and the smoked red peppers the sausage is made with. Lastly was the Epic chorizo scrambler burrito. The size of this was intimidating. The burrito was similar to the previous half pounder but added were crispy hash browns and pico de gallo. 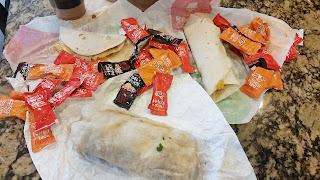 These additions definitely gave more flavor, but again the chorizo flavor gave it a whole different kind of "breakfast burrito". I'm happy to say I'm not afraid of chorizo anymore. I know that sounds silly, but all in all I'm not a hot dog or sausage fan at all. I will occasionally have turkey sausage for breakfast but other sausage I usually stray away from. I give the new Del Taco Chorizo breakfast 5 stars! It's different than your typical breakfast sandwiches that many other fast food chains have. If you're not a chorizo fan, give it a try and maybe you will like it afterall! Would you like to win a $5 gift card to experience the Del Taco Chorizo breakfast? Enter below and I will pick a winner on April 29th. Comment below if you would like to try the Chorizo burrito or if you have another favorite item on the Del Taco menu.